Former Hampton Inn located in the heart of Bessemer. Snack Room with Cold Drinks, Fitness Room, Business Center, 24 Hour Coffee, NO Pets Allwed. Take a refreshing dip in out outdoor pool. Board Room and Meeting Room available along with setup and Audio Visual Equipment. Flat Screen TV with Extended Channels, Fridge, Microwave, Hair Dryer, Coffee Maker, Iron and Board, Sofa Suites also available. Southern hospitality in the heart of Dixie. Hamilton Inn Bessemer/Birmingham is located off Highway 11 in historic Bessemer, Alabama, next to the Bessemer Civic Center. Explore the National Historic District in downtown Bessemer and stop for lunch or dinner at Alabama's oldest restaurant, The Bright Star. Savor Greek-style snapper or tenderloin while having a cocktail at the horseshoe-shaped bar with unique decor, almost unchanged since moving to its current location in 1914. Visit the Mercedes Visitors Center and see exhibits of Mercedes from the past as well as concept cars and multimedia exhibits or reserve a tee time at one of the courses on the Robert Trent Jones Trail. See the largest cast iron statue in the U.S. at Vulcan Park and Museum or learn about Birmingham's history at the Birmingham Civil Rights Institute. Take the kids on a wild ride at Splash Adventure Waterpark or check out a sporting event at the Birmingham CrossPlex or Hoover Sportsplex, only minutes from our hotel. Whether you're in town for business, a family reunion or to see the University of Alabama play football, enjoy our Southern hospitality and comfortable guest rooms. If you're traveling with the family, reserve one of our two-room suites and unwind while watching your favorite program on the 37-inch flat-screen TV. Stay connected with free high-speed internet access or finish a business report at the large work desk or convenient lap desk. A FREE two day event endorsed by Alabama’s Bicentennial Celebration in hopes of advancing & preserving arts & crafts unique to pioneer & current Alabama. 5th Annual Mother's Day Celebration includes amazing buffet, live music and giveaways! The ElKing Ministries presents The Investment Conference designed to impact 3 major areas of the Christians life: their ministry, the family and their fiances My prayer is that we look deeper into God's Mind that we invest more in these three areas. For with a keener decernment we can reap a greater reward out of what we sow in God's kingdom. Working with kingdom principals we are able to manifest kingdom blessings. Activities : The Parks and Recreation Department maintains Bessemer's parks. Park hours are from 6 a.m. to 9 p.m. Mondays thru Sundays, including holidays. Airport : Birmingham-Shuttlesworth International Airport is conveniently located near Interstates 59 and 20, less than 10 minutes' drive from downtown Birmingham. Parking is abundant, accessible, and affordable—just steps from the terminal entrances—and security is conveniently centrally located. Attractions : Whether you have a weekend or a week to spend with us, there's plenty to keep you interested, occupied and fully engaged. Sure, we want you to take a minute to stop and look around. But with so much to see and do, that's easier said than done. Business : A two-story glass and brick structure that can easily accommodate events from Broadway plays to banquets, the Bessemer Civic Center is within an hour's drive of 1.75 million residents and within easy walking distance of 800 hotel rooms, several restaurants and a golf course. Dining : The Bright Star restaurant has been serving generations of customers its specialty Greek- style snapper and steak, signature seafood gumbo, luncheon specials, and famous pies. Located in Bessemer, Alabama, the restaurant has a regional following and draws patrons from throughout the Southeast as well as nearby Birmingham. The Bright Star's exceptional longevity results from one family's continued commitment to excellent food and service. Family patriarchs Bill and Pete Koikos emigrated from Greece in 1923 and two years later purchased an ownership interest in the restaurant from founder Tom Bonduris. Since 1966, Bill's two sons, Jim and Nick Koikos have owned and operated the business. Downtown : To be in Birmingham is to be in the arms of the South. Where the energy is palpable and a spirited nature is tempered by cosmopolitan charm. It's to be in a place that's as modern and contemporary as it is classically southern. And to experience something you won't soon forget. Events : Birmingham is quickly becoming the go-to festival destination in the Southeast. It's about music. It's about art. It's about film. It's about food. The festival scene around here is about a lot things, and it's about time you experienced it for yourself. Golf : The City of Bessemer Frank House Golf Course is a Par 72 regulation length golf course with tee options ranging from Championship tees for low handicap golfers to Senior and Women tees for mid to high handicap golfers. The greens are Bermuda grass and are moderately sized. Our beautiful clubhouse has a soon to be opened grill and currently has a spacious banquet facility that can be rented for any number of festivities and functions. Government : Founded in 1887, Bessemer is located in southwestern Jefferson County. The Birmingham-Hoover metropolitan area where our city is located is home to over 1 million people. With about 27,000 residents Bessemer is a city with a rich history and great prospects for the future. We are a thriving city full of economic growth and development. Our city is home to several major industries and companies. In recent years, Dollar General, U.S. Pipe and others have located facilities within our city. Where Bessemer once thrived through iron ore manufacturing, the city is now home to a diverse blend of industry and companies. With a mix of shopping, world-class restaurants, churches and recreational and entertainment attractions Bessemer is a city on the move! Hospitals Welcome to Medical West! Our mission is to provide the highest quality health care in a patient-focused environment. Medical West consists of a newly renovated, 310-bed acute care hospital and 13 outpatient health centers serving the communities of West Jefferson County and West Hoover. The hospital offers a wide range of diagnostic, surgical, medical, and emergency services. Hospital services include: a 21-bed Emergency Department, Intensive Care Unit, Women's Center, Telemetry Nursing Unit, Geriatric-Psychiatric Unit, Surgical Services, Inpatient Rehabilitation Facility, and Advanced Wound Center. Shopping : Antiques. Boutiques. Those one-of-a-kind finds that you never even knew existed. That's the way it goes around here: unexpected discoveries around virtually every corner. Each with a story and a charm all its own. Just like Birmingham. 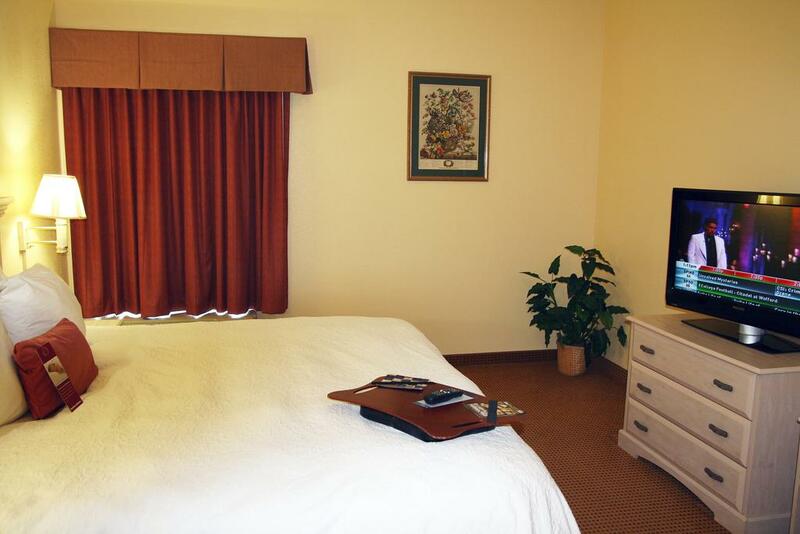 Welcome to our great hotel in Bessemer Alabama with affordable rates and cheap budget discount lodging. Hamilton Inn Birmingham welcomes you to our budget hotel in Bessemer Alabama. Hamilton Inn Birmingham will provide you excellent customer service with great amenities in comparison to all Hotels and Motels in Bessemer Alabama. Please visit us on your next stay in Bessemer Alabama and let us provide you with 4 star hospitality for 2 to 3 star budget rates. Hamilton Inn Birmingham has been providing lodging and accommodations in Bessemer Alabama for sevaral years and looks forward to providing our valued customer and business traveler with the best service in Bessemer Alabama for Hotels and Motels in our local area.